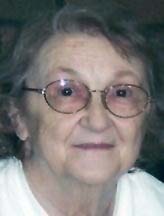 WATERLOO - Beverly A. Berry, 85, of Waterloo, died Wednesday, Dec. 7, at Bickford Cottage, Cedar Falls. She was born July 24, 1926, in Waterloo, daughter of Wilhelm and Minnie Aide Ferger. She married True Jack Berry Jr. on Aug. 20, 1946, in Des Moines. He died Nov. 16, 1991. Mrs. Berry was employed as an operator at AT&T for many years, retiring in 1992. Survived by three sons, Jack (Dee) and Kyle (Carol), both of Waterloo, and Joel (Becky) of Dundee; three daughters, Deborah Albrecht of Shelbyville, Ky., Bridget (Paul) Bullis of Waterloo and Katie (Carl) Jackson of Greensboro, N.C.; 23 grandchildren; and 16 great-grandchildren. Preceded in death by three brothers, Lyle, Tim and Billie Ferger; and three sisters, Leora Ferger, Eldeen Hilton and Colleen Wright. Services: 11 a.m. Monday at Sacred Heart Catholic Church, with burial in Calvary Cemetery. Visitation from 4 to 8 p.m. today at Hagarty-Waychoff-Grarup Funeral Service on West Ridgeway, where there will be a 4 p.m. rosary and a 7 p.m. vigil service. Visitation also for an hour before services Monday at the church.